UAE is known to the world for its tax-free living mechanism for household but the golden days are set to get over by the start of next year. The reason is the introduction of VAT (Value Added Tax) which is slated to be launched from 1st Jan, 2018. The standard VAT rate would be 5% in the six countries of the Gulf Corporation Council (GCC), including the UAE. Initially announced at the start of this year, on 31 July 2017 it was almost certain that President His Highness Sheikh Khalifa bin Zayed Al Nahyan has now released the landmark Federal Law No. 7 of 2017 for Tax Procedures, which forms the basis for the strategic UAE tax system and delineates a clear set of general procedures and rules to be applied to all tax laws in the UAE, specifically (at present) VAT and excise tax laws. 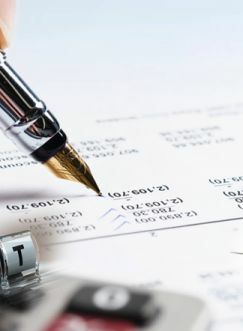 The Tax Procedures Law is a major landmark towards revolutionizing the UAE’s tax system and expanding the economy. 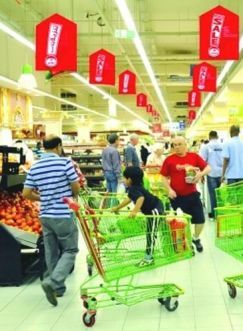 Though this shift is inclined to bring $25 billion (Dh91.8 billion) of revenue for the GCC, families are reasonably worried about how the new tax regime will impact their weekly food budgets and monthly bills. However, it is to note that consumers may have to come across increased supermarket food bills despite the fact that GCC countries have the ability to apply a zero rate of VAT to around 100 items of food. Consumers may need to stock up on nappies, children’s clothes and baby wipes before the end of December, as any products that are not medicine or medical equipment will also be subject to 5% VAT. Though monthly bills are set to rise, the 5% VAT rate is very low in comparison to other countries across the world. For example, the average VAT across Europe is about 19%, whereas the GST rate in Singapore and Malaysia is 7% and 6% respectively. GCC countries have the capability to apply a zero rate of VAT to around 100 items of food; however, the UAE will subject all food items to VAT at 5%. All products that are not medicine and medical equipment will incur VAT at 5%. Residential rents will be free from VAT whereas commercial rents would invitea VAT of 5%. School fees should attract a zero rate of VAT. These are probably to fall within general services and subject to VAT at 5%. These should attract VAT at 5%. Medicine and medical equipment will be zero rated. All insurance will be subjected to VAT at 5% except life insurance which will be exempted. International transportation is expected to be zero rated.